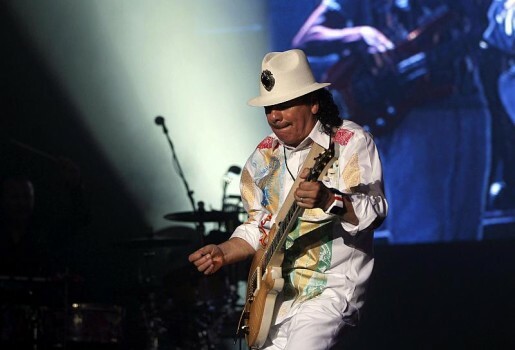 Musician Carlos Santana performs during his concert in Noida. 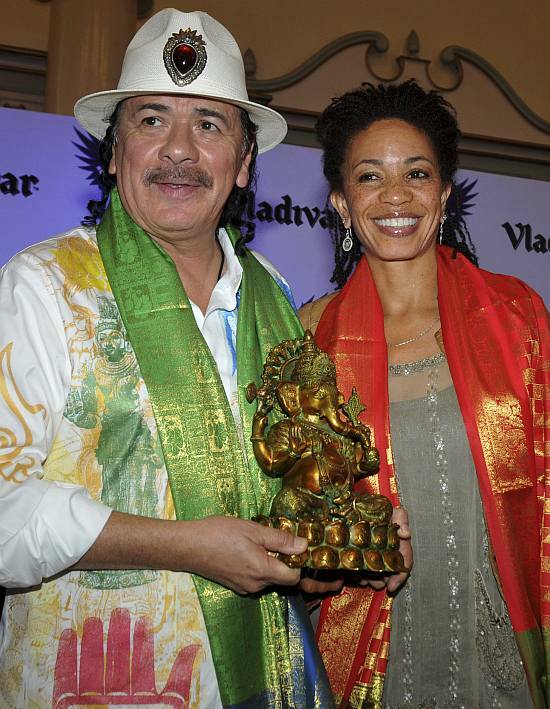 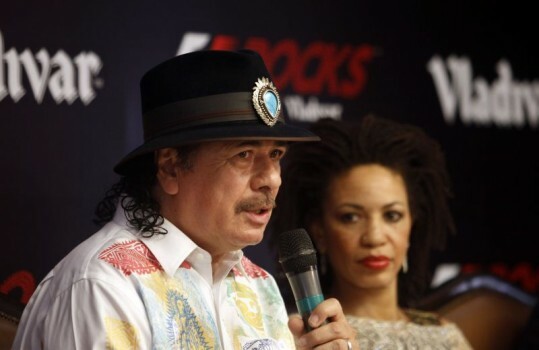 Musician Carlos Santana speaks during a press conference watched by his wife Cindy Blackman in New Delhi. 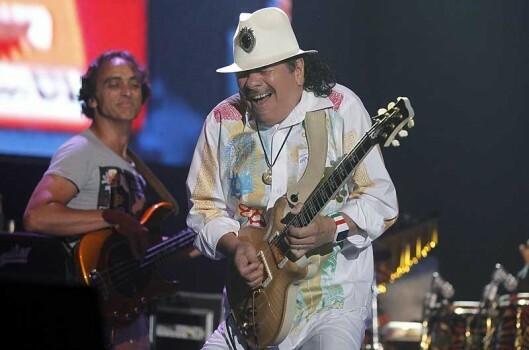 Carlos Santana and Gloria Estefan perform at the Latin Recording Academy Person of the Year tribute in Houston.